These names intrigue me and I couldn’t believe they were real when I read about them in Pollock’s Wilberforce. All they meant to me was toast and marmalade and a fizzy drink. So I looked them up and couldn’t find out much. Henri Christophe (Wikipedia has an article on him) had seized power in Haiti. He had created a nobility from the former slaves. 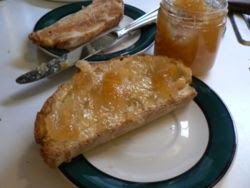 Their names were derived from the slave holders’ estates and so we have the Duke of Marmalade who was the Commander in Chief and the Comte de Limonade who was the Secretary of State. So, it was oranges and lemons. I’m always going off on tangents when I’m reading a book – one book always leads to others. I’m always tempted to look at the end of books and sometimes I do if the book is getting boring to see if it picks up. If the book is one that I can’t put down then I try to resist looking ahead – not always successfully though and then I wish I hadn’t! Lucy likes to keep her eye on everything. I’m now about half way through Wilberforce and it is growing on me. It’s quite difficult to read because there is a lot of detail about politics in the late 18th century, at the time of William Pitt the younger. It’s a long time since I did this period of British history at school and then I’m sure it wasn’t in so much detail. There are also big chunks quoting from original sources, which is fine for authenticity, but the 18th century style and terminology differs from the 21st century’s. So, concentration is needed for this and also dealing with the number of people connected with Wilberforce. He was most certainly an active person, involved in many areas both in the political and social scene. I hadn’t realised until reading his book that Wilberforce and Pitt were such friends, nor that Wilberforce was elected to Parliament for Hull in 1780 at the age of 21. Much of the first part of the book is about his campaign against the slave trade and its long and drawn out progress through Parliament and the struggle against the traders, merchants, planters and landed aristocracy whose fortunes derived from sugar and slaves. 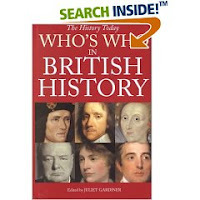 To help with my reading I’ve also dipped into a couple of books on my bookshelves – Modern England: from the 18th century to the present by R K Webb and Who’s Who in British History for background information. The book becomes more readable when giving information of the social scene and personal details about Wilberforce himself. More about that when I’ve finished the book and have an overall view of his life. What I like to get from a biography is a vivid impression of what the person was like, what made him or her tick and after a slow start I’m being to feel as though I’m getting to know Wilberforce as an individual. 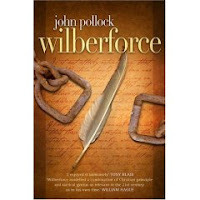 This is my copy of Wilberforce by John Pollack, which I’ve just started to read for the book group meeting next Thursday. 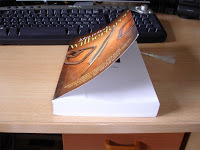 It has a most annoying front cover because it curls upwards, as you can see. D and I are both reading this and not finding it too enthralling! I don’t think we’ll finish it before the meeting, but that will be OK and we will still be able to give our views. When we’ve finished it (if we finish it) I’ll jot down some thoughts here. These books are beckoning me. They’re all library books I picked up on Friday. As someone else had reserved it I had to return a book to our local branch library. I didn’t intend borrowing anymore books- I’ve plenty to read. 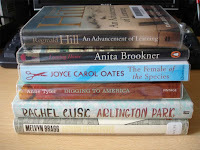 BUT, Arlington Park and Digging to America were on display on the returns counter, along with other books on the Orange Prize Shortlist and so I thought, why not borrow them. The winner, Half of a Yellow Sun by Chimamanda Ngozi Adichie had already gone out, or I’d have borrowed that too. A quick tour round the library shelves and I also found books by Anita Brookner, Joyce Carol Oates, Reginald Hill and Melvyn Bragg that I hadn’t read. So they all came home with me to add to the To Be Read piles. I really like this little branch library as it always seems to have interesting books, good displays and friendly staff. This book captivated me. I have read some good books this year, but this one outshines the rest. When I wasn’t reading it I was thinking and talking about it. It’s about experiencing an experience, becoming aware of experiencing the experience and so losing the experience. 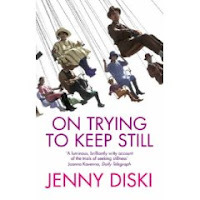 I have had the experience of experiencing Jenny Diski’s travels during a year when she visited New Zealand, spent three months in a cottage in Somerset and went to sample the life of the Sami people of Swedish Lapland. No need to go those places myself now. Really, I could be tempted by a trip to New Zealand, but that is only a pipe dream. 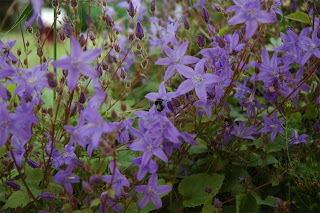 Now, a cottage in Somerset – that is a real possibility. that terribly difficult business of experiencing experience. I am so conscious of me being here, of being me here, not somewhere else, having this experience, that I lose my awareness of what is pleasing me in order to think about the pleasure. To me being in the right company as well as in the right place enhances rather than diminishes my pleasure. I don’t need to visit the glow-worm caves or Doubtful Sound in New Zealand, now that Diski has described them to me; indeed she had to miss out on an actual visit to the caves but enjoyed a virtual trip courtesy of an imaginative reading of the brochure ‘what more could we want, particularly as the actual visit to Doubtful Sound was disappointing?‘ And I certainly don’t want to go to cold, dark Lapland even though the enchanting, mythical, magical forest ‘glittering fairyland labyrinth‘ lit up with frost ‘making an intricate latticework which sparkled, twinkled, actually dazzled the eyes, as if the forest had been sprinkled with a layer of diamond dust‘ is beguiling. This is counterbalanced by the difficulty in living in such a hostile environment. Intriguingly this visit was aimed at advertising tourism. Of course this book is not only about travelling. 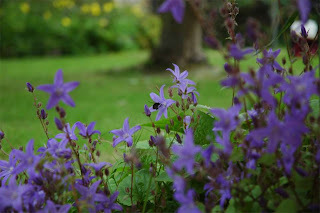 It is also a personal memoir, and is about being still, being alone, wanting to be alone, phobias and the problems of coping with life and especially with ageing. There is so much in this book that I can empathise with that it is almost alarming. 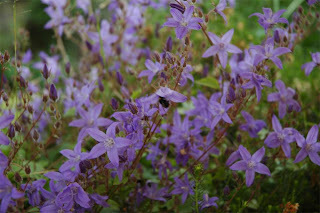 Jenny Diski wants to be alone to a greater extent than I do, but I still identify with feelings such as not wanting to make a noise in case people notice that I’m there, not wanting others to worry about me, and worrying that others are worrying about me; feeling the need to do something such as going out for a walk – not the desire to do it for itself but the feeling that I should want to. On a practical level I also have difficulty with ‘left’ and ‘right’. In my mind I see left and say right etc and like Diski I can only visualise a route for a short distance before it disappears in a grey fuzz in my mind. There is so much more in this book; it describes adventures in places at the opposite ends of the earth intermingled with personal insights and meditations on solitude and stillness, consciousness and belief systems. I found it a moving, amusing, thought-provoking and original book.